So I’ve been asked numerous times recently about how long your workout should last. In case you had the same question, my answer is…Keep it short! Maximize the time you have in the gym. Many of us think that the more we do, the better our results will be. Longer, harder workouts…extra reps…don’t always equal greater results. People will even tell you that you aren’t doing enough if your workouts aren’t at least an hour or two. But who is really focusing the entire time or working as hard as they can when they spend two hours in the gym? And if they are really working at 100% the entire time, they are probably overtraining and hindering their strength and size gains even further! Sometimes too long, too hard, too much can end up hindering your progress and even cause you to go backwards – it may be the reason why you’ve been stuck looking the same way and lifting the same weight for the past few months or even years! While hour-long or even two-hour long workouts have their place and time, most of your workouts shouldn’t last that long. Sometimes less is actually more! It is about being efficient in the gym, using compound lifts, shorter rest periods, heavier weights, and optimizing the time you spend there because the hormones that our bodies produce work to our advantage when we keep our workouts under 60 minutes and can actually hinder our progress when we go over. When you start training, your body will boost testosterone levels significantly and around 30 minutes into your workout, testosterone levels in your body will peak. By about 45 minutes, your testosterone levels are returning back to normal. So all those guys and gals spending two hours in the gym have been working without the aid of a key muscle-building hormone for about an hour and 15 minutes. They would have gotten more benefit out of 45 minutes of intense, compound, heavy lifting and optimal testosterone levels. And on top of the fact that at about 45 minutes your testosterone levels are returning to normal, at about 60 minutes, your body will start producing more cortisol than testosterone and cortisol is a catabolic hormone, meaning it breaks down tissue instead of building it up! When your workouts go over 60 minutes in length, you hormones are no longer helping you build muscle and burn fat. Your body is instead producing more cortisol, which breaks down muscle tissue, reduces protein synthesis, and increases body fat storage. Your body begins to fight against all of the hard work you are doing! So instead of lifting heavy one set and wandering around the gym for five minutes “resting,” why not stay focused and get some high quality work done while your testosterone is raised? Also, if you keep your workout shorter but more intense with compound movements, heavy weights and varied rest periods, you will optimize your hormone levels even more. By lifting heavier with compound movements, you will maximize your testosterone response especially if you do enough volume. Working in the hypertrophy rep range of 8-12 reps for 4-5 sets at about 75% of your one rep max has been shown to result in significant increases in testosterone levels and other hormones that result in better protein synthesis. And to get even more out of every rep, play with your tempo especially on the eccentric portion of your lifts. The eccentric portion of a lift, when the muscle lengthens, is where you can cause the most muscle damage. Studies also suggest that more protein synthesis happens after lifts with an emphasis on eccentric training. So between causing more muscle damage and more protein synthesis, focusing on the eccentric lift will cause bigger and better size and strength gains! Also, while so many of the muscled guys and gals around the gym spend just as much time lifting as they do resting, long rest intervals may not be the best way to maximize your growth hormone response, a hormone that increases protein synthesis and muscle mass. Short rest intervals have been shown to create a strong growth hormone and testosterone response. Short rest intervals actually increase growth hormone levels higher than longer rest intervals. However, don’t ignore the benefit of adding in some longer rest intervals especially when lifting super heavy and intensely. High intensity exercise does raise cortisol levels and longer rest intervals do allow for more complete recovery and also increase testosterone levels to counteract cortisol levels. Make sure to VARY your rest intervals. So stop wasting your time in the gym doing two-hour, non-efficient workouts when your cortisol levels are working against you. Not only are you not getting the most out of your time in the gym, but you are also causing yourself to not recover as well or as quickly. So yea…That is my answer when it comes to how long your workouts should be. Got another question? Let me know! 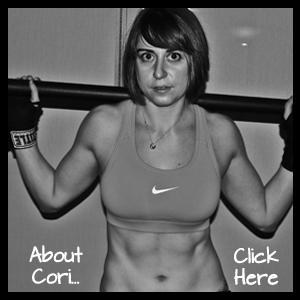 Posted on May 25, 2013, in Man Biceps, program development and tagged cortisol, hormone, hormone levels, hour long workout, how long should your workout be, intense workouts, short workouts, testosterone, testosterone levels, workout duration, workout length. Bookmark the permalink. 2 Comments. I agree that in order to optimize muscle growth we need to rebuild during rest periods. Going all out for 2 hours seems a bit extreme for me, i want to enjoy life by being fit and healthy, not spending all my off hours pushing metal.